E-commerce is occupying an increasingly prominent place at the foodservice table, and it's becoming impossible to ignore. 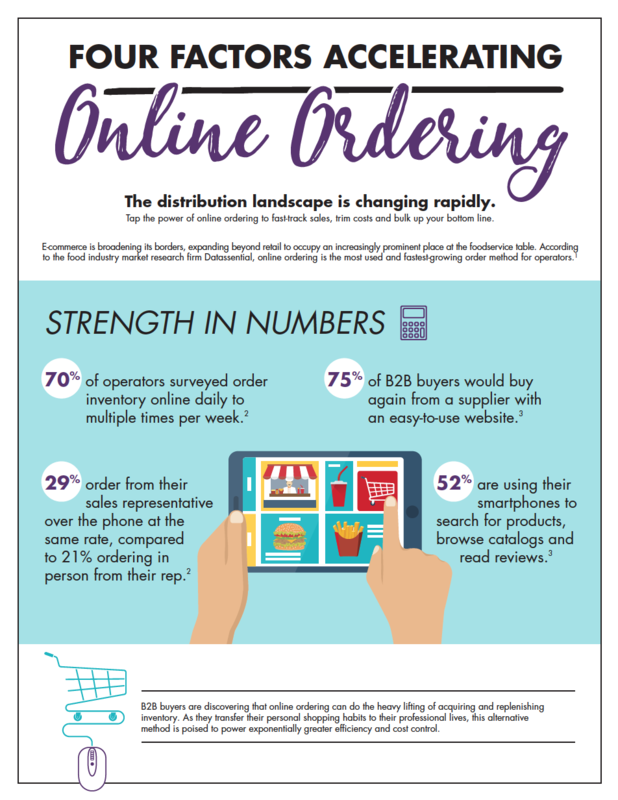 While traditional ordering methods remain prevalent, online ordering is the fastest-growing order method, with 69% of operators making the change. This report will highlight the four factors that are supercharging online ordering, and how operators and distributors can take advantage of them.